The Cover Kit can be used to cover any remaining discoloration after your scar treatment is completed. 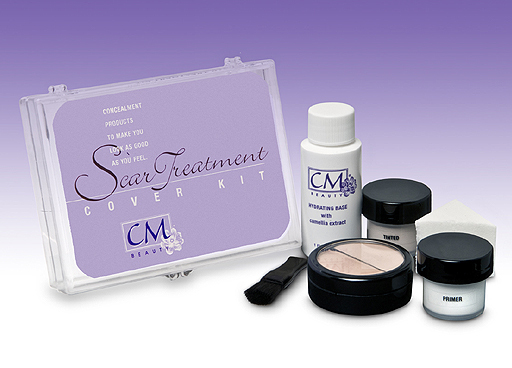 The Cover Kit can be used to cover any discoloration left after your scar treatment is completed. In addition, the cover kit can be used for covering hard to treat white scarring (hyopo-pigmentation) scars. The kit can help a rough, scarred surface look smoother, reduce discoloration and actually help soften your scarred area. If it�s your wish to quickly cover all signs of scarring, this product is for you.